Atari released PONG in late 1972. 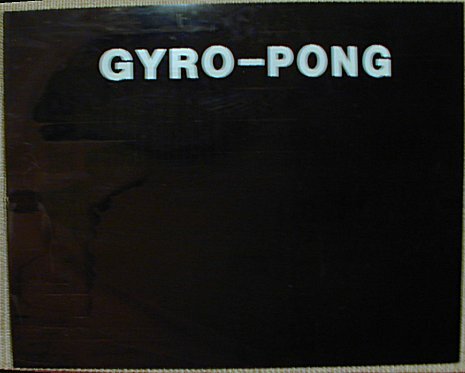 This game was so popular that many arcade game manufacturers began to copy PONG and release their own version. Most consisted in a nearly same electronic board (but a different cabinet). Others proposed PONG with more players, boundaries for removing "dead spots", color picture, and even several games that could be played against the machine. Another smart idea that didn't really copy Atari's game was special upgrade kits. As a matter of fact, they allowed customers to use their original Atari PONG games and do some modifications that game more player controls and game options. The circuit board is a modified Atari PONG board. 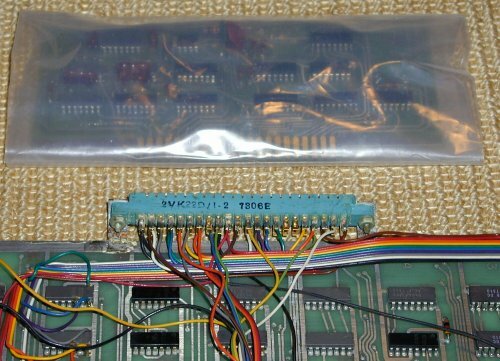 It is unknown whether it was provided with the kit because of the required modifications or if the purchaser had to make the modifications himself on a provided Atari board or his own board. Modifying the customer's board seems to be the most probable solution. Numerous modifications were required for adding the new features listed above and a small extra board had to be plugged to the main board since the modifications implied the addition of extra logic gates. 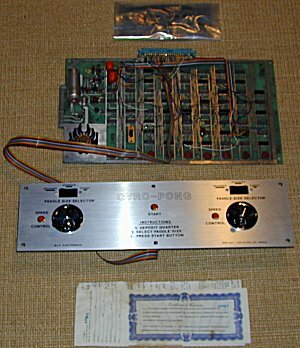 Since the kit was designed for adding new controls and settings to the original PONG game, a new control panel was provided. Silver bi-directional joysticks replaced the knobs. New controls allowed setting the paddle sizes (3 sizes) and control the ball speed. When purchasing a kit, customers could fill a warranty paper and send it back for registration. Instructions explained how to assemble the kit. No electronic assembly instructions were found with the pictured kit, but at least instructions for assembling the joysticks and mounting the circuit board and front panel survived. VERY NEAT... There was a lot of that conversion business going on in 1973-74 - everybody and his uncle saw a chance to make a few bucks "improving" the old pong games. Most of those boards went directly to the operators (the guys who buy machines and place them in the bars etc. and service them and empty the coin boxes) so I don't think Sanders/Magnavox ever collected from these guys...but they were all small potatoes. What Ralph explains here is that the PONG upgrade business was mostly a "garage" business. At that time, any company or people working in the video game business (even by modifying existing games) had to purchase a license to Magnavox. However, those businesses were "small potatoes", meaning that Magnavox would never collect as much as with serious video game manufacturers. Still, some large companies did not purchase their Magnavox License and serious law suits started in 1975.